Today is Euro Cup 2012's final clash between Italy and Spain. 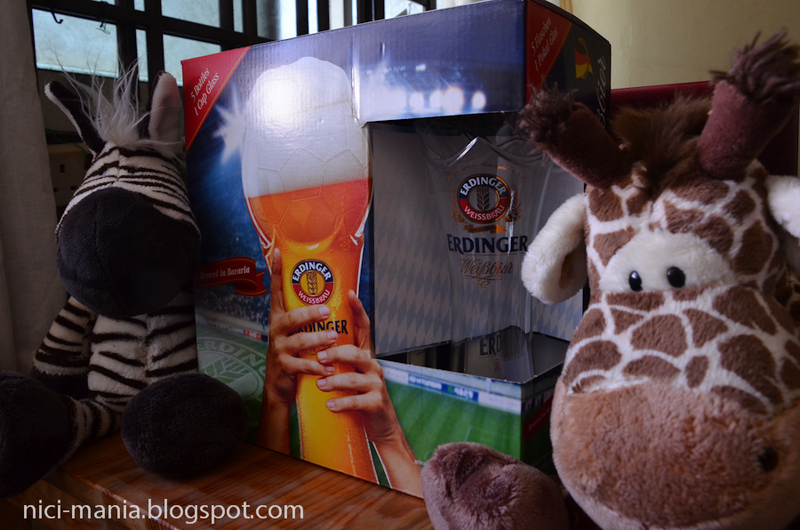 Our NICI Zebra Gwen Giraffe got themselves a Euro 2012 Erdinger beer box set. 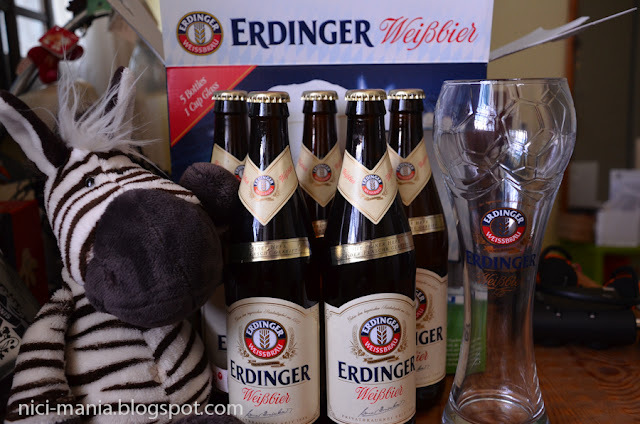 The Euro 2012 Erdinger beer box set consist of 5 Erdinger weissbier and one Erdinger glass designed specially for Euro Cup 2012. NICI Zebra opens up the Erdinger beer box eagerly.. 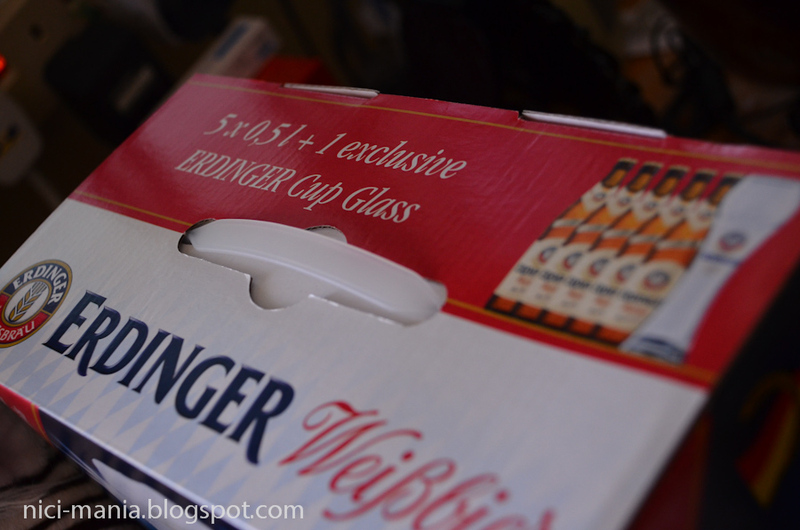 The intriguing football shape on the top part of the Erdinger beer glass is the unique design specially made for this year's Euro Cup. 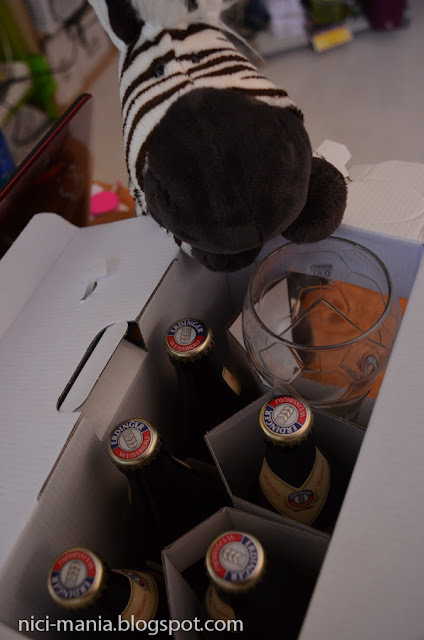 Beer always goes well with watching football don't they? 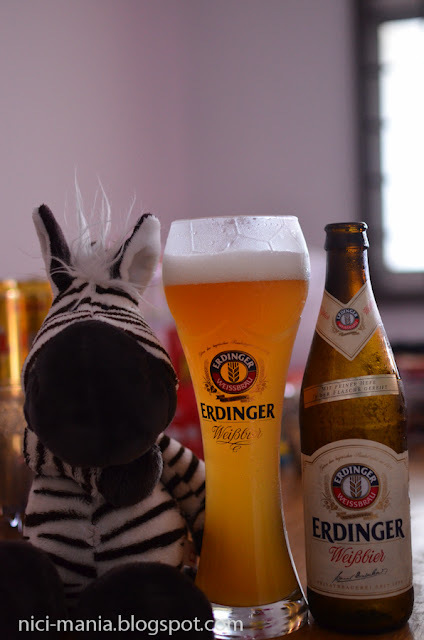 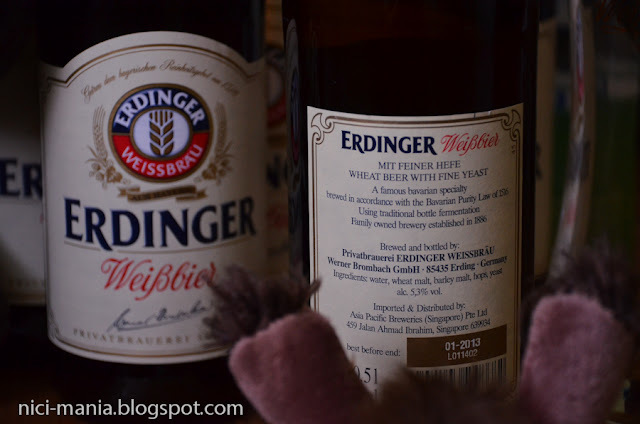 Gwen Giraffe tried to do the same thing NICI zebra did earlier..
Erdinger is probably the most popular German beer in Singapore due to its pleasing wheaty taste that wins its popularity. 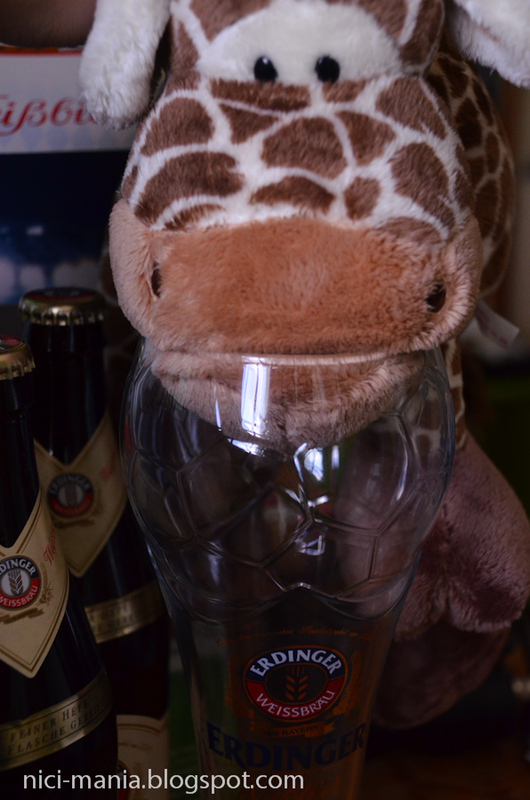 Italy vs Spain, who will be the winner? 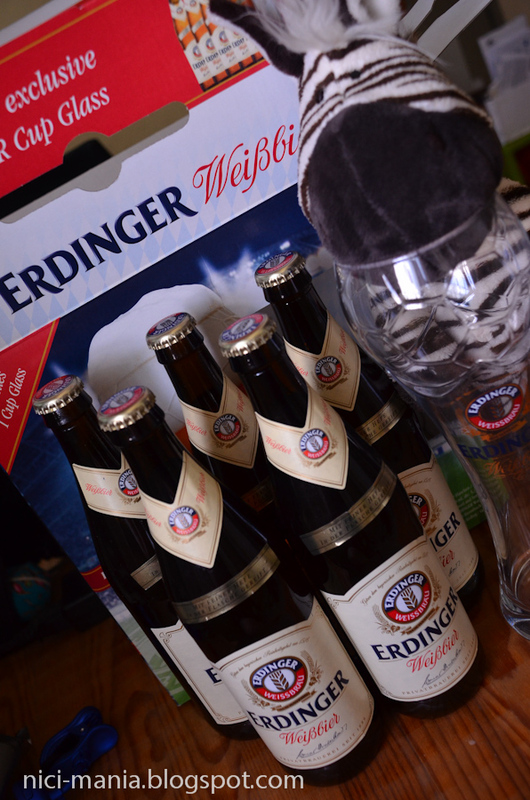 Let's enjoy a pint of Erdinger weissbier in the special made Euro Cup glass to find out!